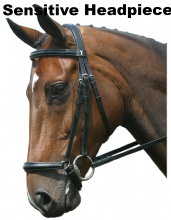 Our finest handmade bridles with padded nosebands, especially suited to the fine art of Dressage. 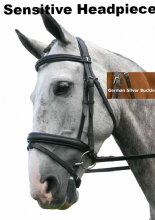 Most styles available with white padding; choice of comfort or standard crownpieces and crank or classic noseband fastenings less Reins. 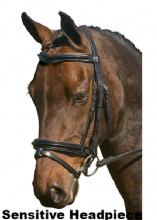 All styles available with either English or Flash nosebands. 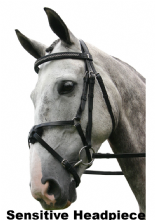 A selection of suitable Reins can be found in their own section.